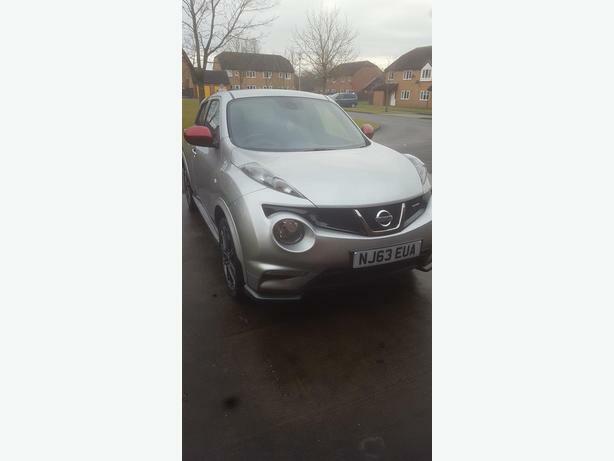 Nissan juke nismo. 39000 miles. MOT until 8/9/17. Great condition. Serviced at 13k and 37k. Good tyres all round. 2 keys. Keyless entry. Touch screen sat nav. colour reversing camera. Bluetooth hands free telephone. Bluetooth wireless audio. USB ipod connection.AUX. CD player. Air con. Auto lights and wipers. Heated front seats. One touch front electric window.Cruise control with speed limiter.Touch start button.Privacy glass. ISOFIX.